Ever wondered what was hidden under the traps of the evil smelling truck that just passed you by? It could well have been a truck with yet another plastic bale load of crushed chemical containers heading for a recycling plant somewhere across the country. Another ‘load’ is encouraging for the recycling effort for the environment, but it often comes at a cost to the environment in the process. The voluntary standards of cleanliness desired for chemical container recycling is all too often found wanting as primary chemical users limit their time and trouble to achieve the “triple rinse standard”. While collection site inspections may reject some poor examples of cleaning of plastic chemical containers, vast numbers pass unnoticed, still containing chemical fluid and coated surfaces. These may remain in stockpiles, leaking, leaching, evaporating into the air and producing toxic fumes that endanger all in proximity and downwind. The primary chemical user can prevent this chain of chemical contamination of the environment and of endangerment to all along the recycling path. 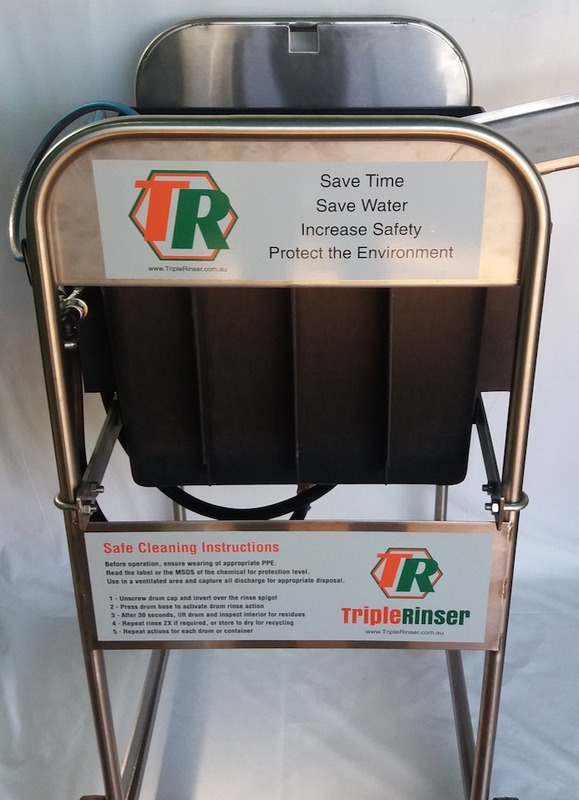 Having an easy and quick method to removal all chemical traces at the moment when the drum is emptied, is the primary purpose of the TripleRinser™. 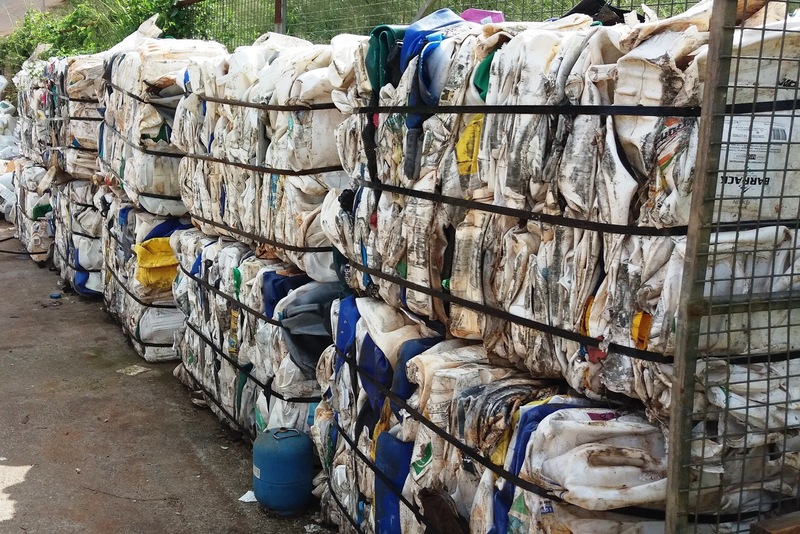 Council staff and others at collection points are often required to wear masks and protective wear, when the stockpiled mountain of plastic drums is loaded into a crusher and baled into cubes for transport by truck. This crushing causes remnant chemicals to be expressed from the drums to penetrate through the bale and drain onto the truck, the ground and all along the highways to the distant recycling plant. When a plastic chemical container is still capped with contents inside, these chemicals can explode from the crushed drum in a toxic spray and cloud that will spread the contamination further afield. In adverse weather, wind and rain lashing the truck and load, would continue the chemical contamination at truck stops, weigh-bridges, intersections, and over following vehicle traffic, before the plastic bales reach their destination and begin to be processed. Further contamination of environments arise when recycling plants need to use great volumes of water to once again to remove traces of chemicals – that could have been removed by the TripleRinser™ at the beginning of the container’s recycling journey. Processors feed the plastic containers through shredders, chipping up all the drums before the chips are washed and heated up to 250 degrees. Once the plastic mass reaches a molten stage, it is cooled, then heat extruded to make small pellets, which are packed in bales ready for transport to a remanufacturing plant. Eventually chemical free the chipped plastic is turned into numerous products that reduce the world demand on raw materials and improves the economy of the country. 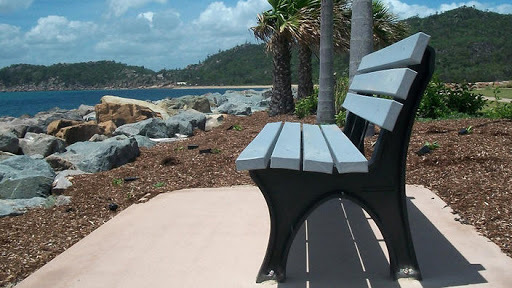 Recycled plastic remanufacturers create useful products such as wheelie bins, cable covers, public furniture, road markers, construction materials, bollards, garden edging, garden stakes, fencing posts, car park wheel stops, sleepers garden equipment and raised gardens to name a few. A great ending – but from a poor start. The TripleRinser ™ provides the perfect solution to the most challenging step of the whole chemical drum recycling process and has made both compliance and recycling very simple. We sell single units as well as bulk. And we ship Australia wide!